When you only breed a couple of horses a year, the importance of getting it right is magnified. That’s one of the major reasons Jack and Anthea Griffin, the owner and breeder of the G1-winning mare Daysee Doom, has chosen Darley’s Kementari for her first mating. “I’m pretty keen on genetics and researching pedigrees, I put a bit of time into it,” says Griffin. “I’ve always liked Lonhro and I still do, but I decided I’d like to go one of his sons and Kementari appealed to me as a young, virile stallion at the right price. It looks to me to be a really good mix. Griffin was also influenced by his previous experience with the Darley stallions having bred Daysee Doom from a mating of his mare See A Victory with Domesday. The duplication of the mare Best In Show in the pedigrees of both Domesday and Kementari’s dam Yavanna, through her sire Redoute’s Choice, also appealed. As a smaller-scale breeder, Griffin has had uncanny success. Daysee Doom has won nine races for Griffin and his wife Anthea, but she is only one of his great successes as a breeder. Griffin also bred, among others, the Stakes-winning mare Porto Roca, who like Daysee Doom also won the G1 Coolmore Classic, and Bluebird The Word, a G1 winner in New Zealand. Porto Roca duly produced the 2012 G1 Dubai World Cup winner Monterosso (Dubawi) who was bred and raced by Sheikh Mohammed. The Griffins also won races in their home state of Western Australia with See A Victory and her half- brothers Danish Conqueror and Danish Tapestry. 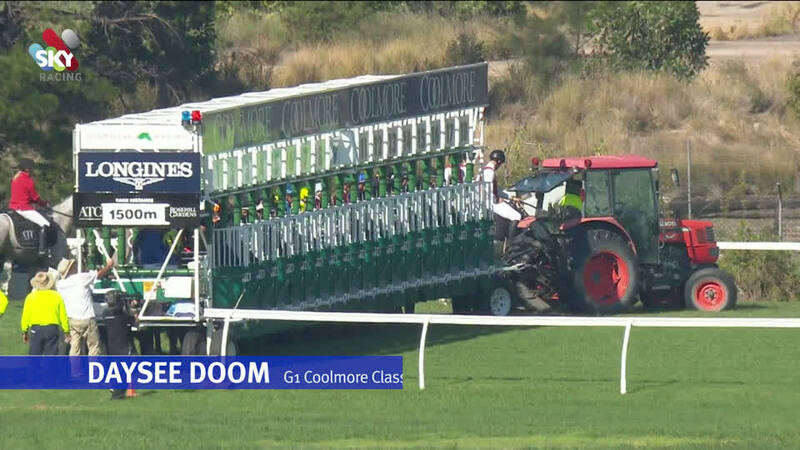 Daysee Doom, the winner of nine races for the couple and for trainer Ron Quinton, finished second in this month’s Emancipation Stakes and is due to have her final race in the G1 Coolmore Legacy Stakes at Randwick on Saturday, 13 April. Kementari, winner of the G1 Randwick Guineas in race-record time, begins stud duties at a fee of $33,000, including GST, at Kelvinside in 2019.